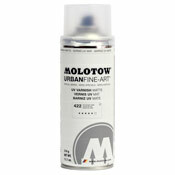 You can order anything on the site except spray paint (this does NOT include our Canadian Friends who can order paint). Go ahead and create an account on the site and add the items you would like to your cart. The site will calculate shipping and order totals for you. International orders take roughly 7-10 business days (Monday-Friday) for delivery. If you have questions concerning a shipping quote, send us an email or call us. How do I pay with a Money Order? I don't have a credit or debit card, and I don't want to get a money order because they take a while. How else can I pay for my order? I'm missing items in my order. Whats up with that? I'm ordering spray paint, why is the only shipping option UPS Ground? Do I need a Paypal account to order from Art Primo? I do not like to use my credit card on the internet, can I call in my order? Can I get my Aerosol order shipped to my PO Box? Why won't my tracking number work? Hi. I live outside the U.S.A. and was charged an additional customs fee? Why is that? How do I contact Paypal by phone? What is Paypal's phone number?